Surgeries involving dental implants are a serious matter. And similar to any other type of surgery, patients need ample recovery time. The recovery for getting one or even more tooth implants put in is short. 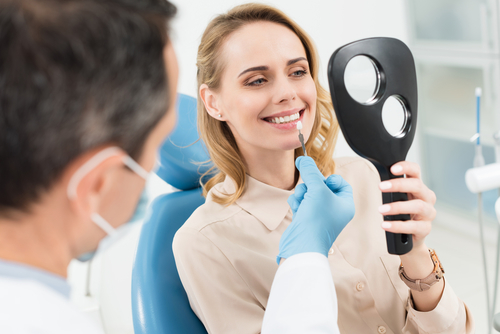 However, the recovery period may differ depending on how the dental implant procedure occurred, how well patients took care of themselves after to procedure, and how the body has been reacting to the implant. In today’s post, we’ll discuss more of that. What is the general recovery time after tooth implant surgery? 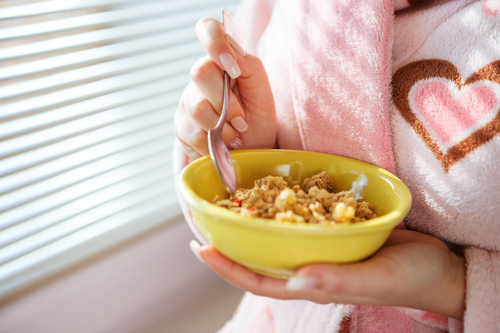 The recovery time will typically take five to seven days for all the symptoms to disappear. However, in some cases, patients may go through a long recovery period because of varying factors. Here are some of the causes of different recovery periods. Whether it’s single or multiple implants, the recovery period can vary. Essentially, the more implants you get equate to a more comprehensive procedure, which also means a more extended recovery period. This procedure is required when the patient’s jawbone is not thick and stable enough to hold an implant. Chewing puts pressures on the jawbone; thus, it needs to be as strong as it can be. If a bone graft is required, the dentist will need to take bone from somewhere else in the patient’s body (usually the hip) and incorporate it into the jawbone. In some cases, artificial bones are also used. Either way, the healing process can take several months. However, if only minimal bone grafting is done, the healing time wouldn’t take as long. The healing period from sinus lift dental implants can also vary. Also called a sinus augmentation, a sinus lift adds more time to the recovery period. This process requires to add bones to the patient’s upper jaw close to the premolars and molars. The sinus membrane will need to be lifted or moved upward to make room for the additional bones to be inserted. This procedure helps the dental implant integrate fully with the patient’s jawbone. Osseointegration requires time to happen effectively. It may be different for each patient, so that’s another factor to consider when determining the recovery time. However, if the osseointegration goes without any issues or complications during or after the procedure, the healing time shouldn’t take longer than a week. Now that we have a general idea of the recovery time let’s discuss what the healing process will look like, what the patients can do to help themselves, and how to accelerate the recovery period. 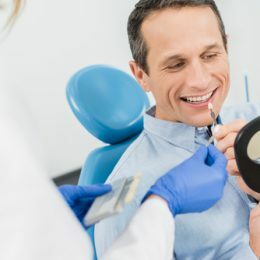 Within the first hour after the tooth implant surgery, the patient will need to put a firm yet gentle pressure on the gauze packs to keep them in place with the bite. Don’t change the gauze packs until after an hour after the surgery. However, if the gauze needs to be replaced, put the ones for about half an hour. After, change the bandage every 45 minutes. With that being said, these symptoms are all to be expected since it’s the body’s way of healing itself. To help speed up the recovery and minimize the pain, here are some more additional recovery tips patients can follow. Be extra careful not to touch the surgical areas. Use a gentle toothbrush to brush the teeth the night before the surgery. Twenty-four hours after the surgery, gently gargle with salt water three times a day. Use cold compress if needed. By the second or third day after the dental implant procedure, the body should continue to heal itself. However, certain precautions as advised by the dentist should still be practiced. If there are any serious issues, visit the dentist right away. Generally, after getting dental implants, you should stick to soft foods and avoid hard, sticky and spicy foods.